Monica Driscoll and team studying muscle deterioration. When the SpaceX Falcon 9 rocket blasted off from Cape Canaveral Wednesday, some 36,000 worms were aboard. And about 3,600 of those creatures were sent by Monica Driscoll, professor of molecular biology and biochemistry in the School of Arts and Sciences. 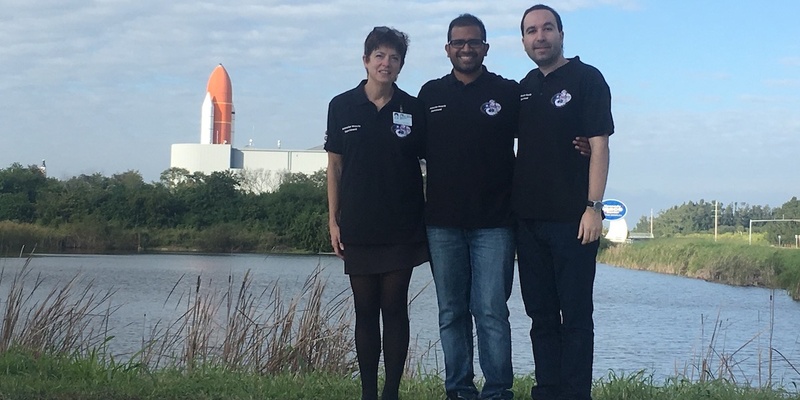 Driscoll is part of an international team of scientists studying the muscle deterioration that occurs during prolonged space flight – and whether it can be overcome for extended stints at the International Space Station or long trips to Mars. The Molecular Muscle group, including scientists from the U.K., Japan, Korea, Greece and U.S., will look at changes that occur in muscle and neurons, candidate drugs that should help maintain muscle mass, and the relationship of degradation to accelerated aging. Driscoll’s team includes, Girish Harinat, a Rutgers graduate who majored in cell biology and neuroscience, and Ricardo Laranjeiro, a post-doctoral associate in the molecular biology and biochemistry department. The C. elegans worms used by Driscoll and her team are ideal for the study, she said. The SpaceX capsule will dock at the International Space Station, where the worms will live for five or six days before they are frozen and returned to Earth, Driscoll says. “At which point we will get to work on checking them out,” she added. Earthbound patients with muscle degeneration may also benefit from the findings.